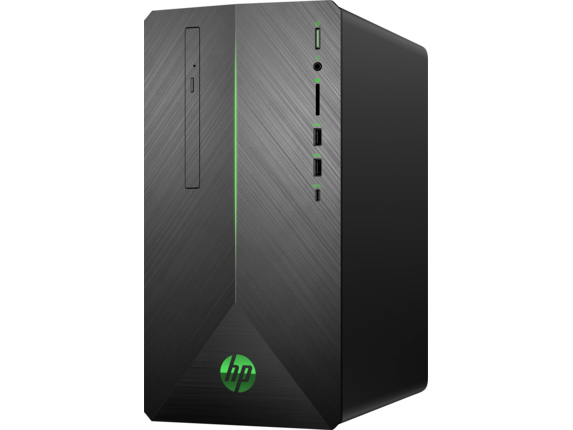 If you want to crush the competition in the arena or on the battlefield, you need a high-powered gaming desktop that won’t give out in the most critical moments. HP® has you covered. HP Pavilion Power desktop PCs have everything you need to be the last man or woman standing in every difficult matchup. Check out an incredible selection of HP Pavilion gaming desktops and find the one that’s right for you. If you’re tired of lagging out and getting decimated by an opponent because your CPU or RAM can’t keep up, it might be time for an upgrade. 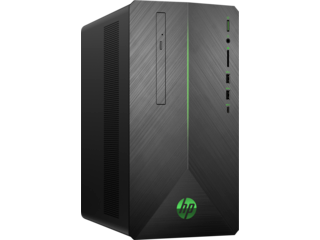 With an HP Pavilion Power desktop computer, you won’t have to worry about your PC holding you back from reaching your potential as an elite gamer. The HP Pavilion Gaming Desktop - 790-0050xt is the ideal budget gaming desktop for anyone just getting started. Complete with an 8th Generation Intel® Core™ i5-8400 processor, NVIDIA GeForce GTX 1050 2G graphics card, and 8GB of memory, you can rest assured that this PC can do it all. Upgrade to 16GB with the HP Pavilion - 790-0025t or go all out with the HP Pavilion - 790-0065qd with its impressive 32GB of RAM along with 2TB HDD and 256GB SSD. Equipped with an NVIDIA® GeForce® GTX 1060 graphics component, the HP Pavilion Gaming 790-0025t has plenty of processing power for any type of gaming or digital artwork. If you enjoy competitive play online, this PC’s hardware was built to reduce lag-time between frames and provide an extremely smother user experience. 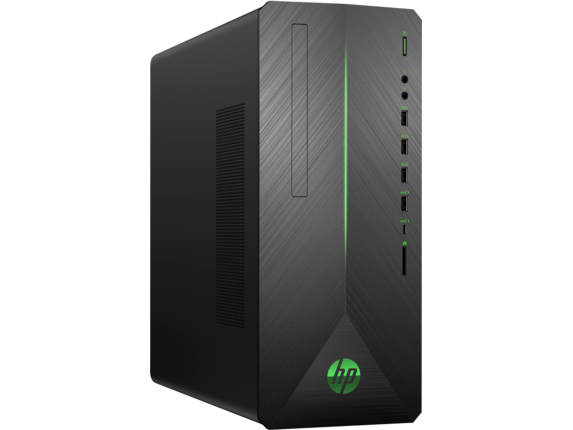 However, if you really want to climb the top of the leaderboards in Battlefield 1 or Fortnite, you should definitely consider the HP Pavilion - 790-0065qd. The NVIDIA™ GeForce® GTX 10 Series will allow the user to completely immerse themselves in jaw-dropping landscapes of the latest virtual reality games. 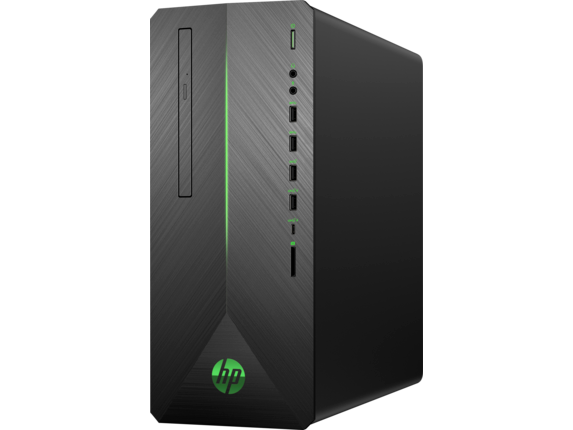 Perfect for 4K gaming or virtual reality experiences, you won’t be disappointed by the graphics capabilities of this desktop gaming PC. Download and store all of your favorite triple-A (AAA) titles right onto your 1TB or 2TB HDD. With an HP Pavilion gaming desktop, you’ll have more than enough storage space to save as many games as you want. While the primary focus of any gaming PC should be the hardware, there’s just something special about seeing those neon lights fire up before every session. The casing of these desktops comes in a bold, brash gunmetal finish with green trim, making it more than easy on the eyes. And access is easy too. 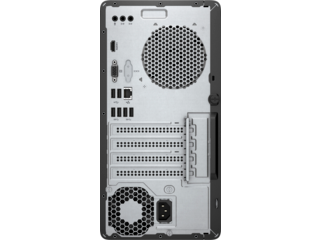 The HP Pavilion is designed with many of its crucial ports at the front rather than the back. Now you can conveniently plug your speakers, headphones, or micro SD chip right into the front of your computer. The HP Pavilion 690-0015xt is one of the most impressive PCs available, with the latest hardware to let you need trample over the competition in any AAA title. 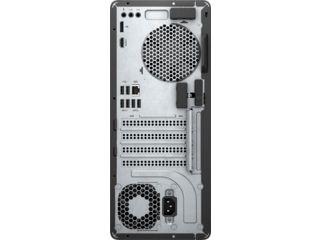 An Intel® Core™ i7-8700 processor comes with Intel®’s signature Turbo boost technology to take your speeds and responsiveness to new levels. You can even boost this PC’s RAM all the way up to 32GB if you’re chasing the highest levels of performance while you game or stream. 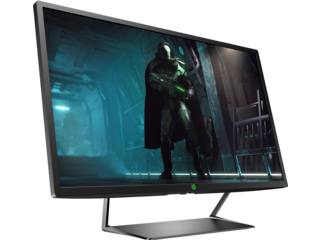 To take advantage of your HP Pavilion with its dedicated NVIDIA graphics card, you want a monitor that can make the most of it. The buzz has certainly been building around playing AAA titles in 4K. With the rate at which technology is progressing, it won’t be long before 4K becomes the new standard for picture quality in movies and games. Stay ahead of the curve and play games the way developers intended when you pick up an HP Z27 27-inch 4K UHD display. Your jaw will drop when you see the detailed outlines of Kratos footprints in the snow when playing God of War on your 4K monitor. Of course, 4K isn’t always enough, and if you would prefer a more dedicated gaming display, be sure to check out our line of HP OMEN gaming monitors. 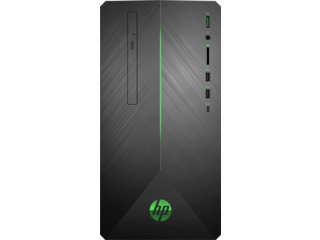 The HP OMEN 27 Display provides QHD quality as well as 1 ms gray-to-gray speeds. You can’t pull off an epic backstab in Dark Souls or snipe an opponent from across the map in Battlefield 1 if you don’t have a superior gaming mouse to help you do it. 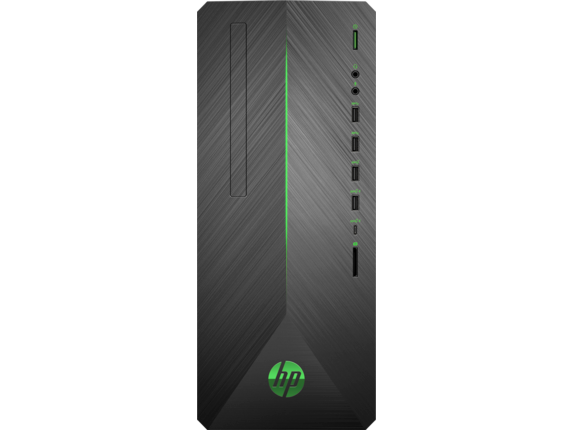 The HP X3000 wireless mouse is a solid, dependable mouse for any gamer looking to get started with something simple and easy to use. 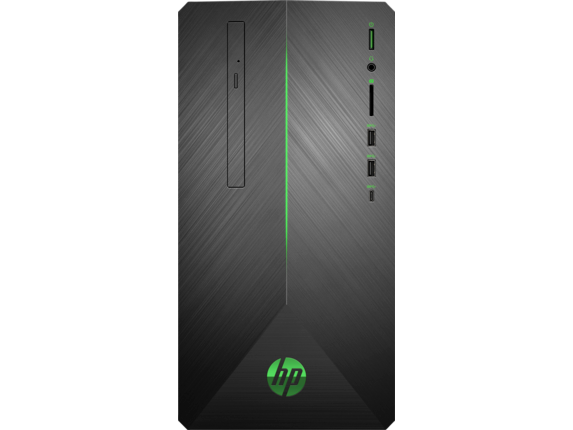 However, if you’ve been around the block and need a mouse that’s as dedicated to gaming as you are, consider the HP OMEN gaming mouse for your new HP Pavilion Power desktop. This mouse comes with 6 programmable buttons so you can easily assign all of your important attacks and commands. If you enjoy co-op play, a superior gaming headset is an absolute must. Any competitive gamer will tell you that communication with your teammates is one of the most critical aspects of any competitive team game. The OMEN HP headset 800 boasts unrivaled clarity and immersion in your environment so you can hear every call out and enemy footstep with ease.